Perfect for any time of day, and also serves as an extraordinary mixer for cocktails. 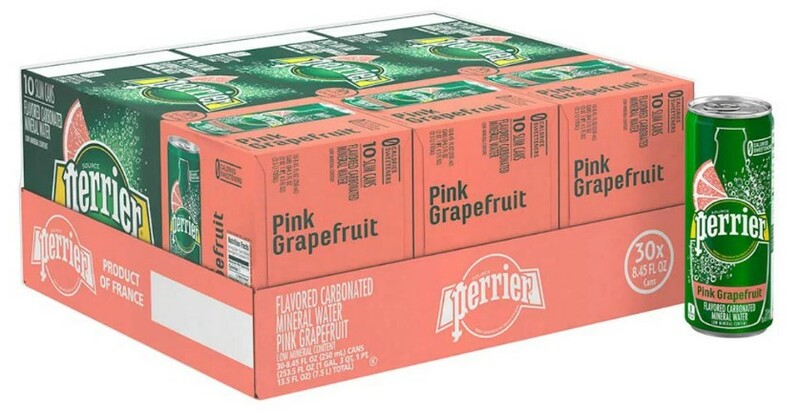 Amazon has Perrier Sparkling Mineral Water 30-Pack for $11.49. You can get free shipping on orders over $25. Experience our vibrant and tart pink grapefruit flavor with zero calories and zero sweeteners.